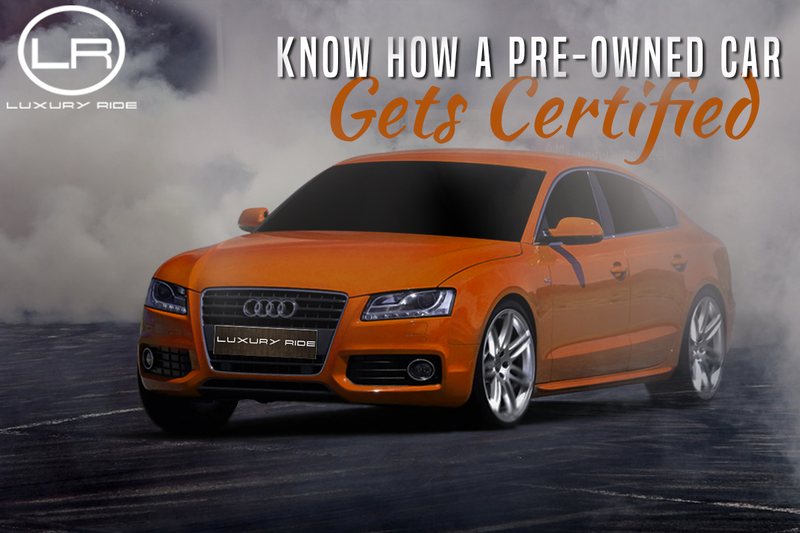 Buying a certified pre-owned luxury car is much like purchasing a brand new car but with some twists and turns. Yes, we’re talking about an authentic yet certified used luxury car, sold by the best pre-owned luxury car dealer– Audi, Mercedes, BMW, for instance. A pre-owned car seller makes sure that the vehicles are inspected by qualified automobile engineers and then sold to the customers with manufacturer’s warranty. The inspection can help you get assured about the condition of the used vehicle and makes your car shopping worthwhile. The warranty will kill your efforts to disturb the bank manager for an unexpected car repair loans. While exploring the used car collection, it is difficult to judge which car is more reliable. Some people find it risky to spend a good amount of money on used cars. But, there many pros while purchasing a certified used car. Almost every luxury car brand deals into CPO programs but not all can keep up with the industry standards. Usually, the duration of used luxury car warranty can extend up to 2 years with unlimited mileage numbers. Be sure to check the exact duration of the warranty and check whether the warranty starts from the date of purchase or from the date it was sold by the first buyer. Negotiating with the dealer and fixing up the best CPO program is a tedious task. And, one must keep a close eye while understanding the program and its inclusions such as warranty, discounts, buy back offers and a lot more. Don’t ever assume that your CPO program is perfect. Blind trust can make you spend some extra money on the maintenance of the vehicle. The Pros or Cons of any used vehicle can be evaluated during the test drive. You can very well inspect the vehicle through its dents, scratches and interiors. Just because you have found a certified pre-owned luxury car doesn’t really mean that you can pay whatever a dealer demands. Grabbing the best deal involves a lot of effort and convincing ability so that you are able to crack the deal at your budgeted cost. You can always negotiate with the dealer and tell him your budget to bring the cost down or demand a better interest rate in case you are opting for any financial deals. Though, many car dealers offer lucrative finance options for certified used cars. Check out the leading certified car dealer in the city and try to negotiate with the total cost. You can always explore the huge inventory of Luxury ride, one of the leading luxury car dealers in India. It’s essential to know the perks of purchasing a pre-owned vehicle and when the vehicle is suppose to be in a better condition than a non-certified used cars then it can save your hard earned money. Before investing on a used car, make sure you are choosing a certified one.